Udaipur, in the royal state of Rajasthan, is a beautiful city to visit. This picturesque city is known for its lakes, history, culture and scenic locations. While there are many places to visit in Udaipur, and quite a few that you can give a miss, we have listed down 5 places that we think you MUST visit on your trip to Udaipur. City Palace is located at the heart of Udaipur and it was built by Maharana Udai Singh Ji. The palace is situated at the bank of Pichhola Lake. It is certainly would be a place to visit who has a keen interest in history of Rajasthan. The major part of the City Palace has been converted into museum which displays a diverse range of preserved monuments and armor. The museum exhibits a wide collection of weapons, gears, clothes furniture etc. 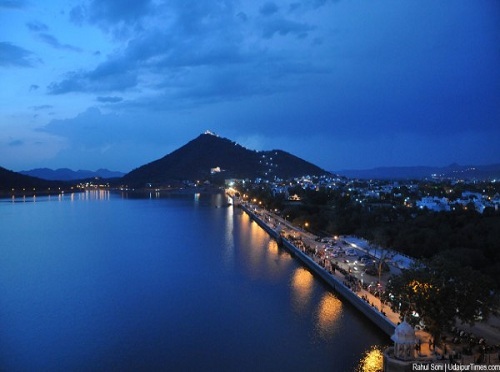 Fateh Sagar is one such kind of a place in Udaipur. Not only tourists, even the local residents of Udaipur always enjoy most of their time at Fateh Sagar. For a few their day doesn’t complete if they do not visit and spend some time at the lake side. This is the magic of the place. You can pass several hours sitting beside it and watching hilarious beauty of the lake. Mumbaiya Bazar would certainly catch your attraction at Fateh Sagar. This is a very big Hindu Temple made of white marbles, near the main entrance of City Palace devoted to Lord Vishnu and positioned about 50 meter above the ground level. The temple is highly treasured for the carved images. Sahelion Ki Bari or square of the Maidens was constructed for a group of forty-eight young women attendants who accompanied a princess to Udaipur as part of her dowry. There is also a Vigyan Kendra Science Center inside the famous garden complex. It has numerous interesting information about scientific theories and practicals. It has a very amazing garden and large 3-tiered source encircled by a pond, that looks magical in the night. If you desire to enjoy your evening with locals, this is a place to be. The circle is enclosed by ious food stalls and juice corners selling everything from Pav Bhaji, Chhole-Bhature, Burgers to Milk shakes and juices. 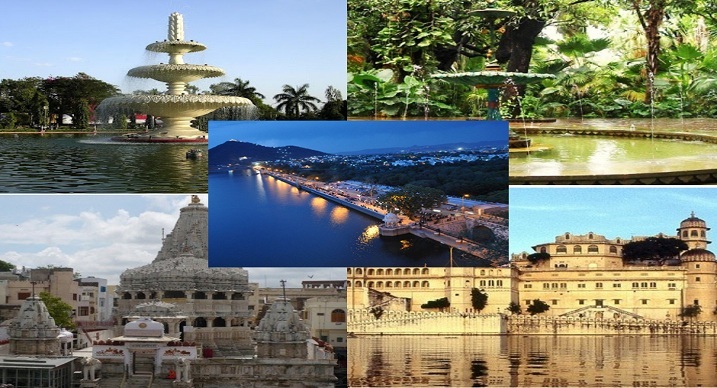 With Om Travel Online, explore Udaipur at affordable rates. Om Travel Online provides taxi services in Udaipur for local and outside tour.